Long Island's Finest Heating Contractors Since 1980—Call Today! Weber & Grahn Heating, has provided Long Island, New York, and surrounding areas with heating repairs and maintenance for more than 38 years. Our professional staff is highly trained in the latest service techniques to ensure your heating system remains in good working order. We are dedicated to providing the highest level of customer service, affordable prices, and reliable heating repairs. Weber & Grahn Heating, specializes in home furnace repair work. We are experienced with all brands of furnaces and heating systems, but we only install the highest quality of furnaces, including Amana and Carrier. When you need your home or office's furnace replaced, Weber & Grahn Heating should be your first call. If you're looking for furnace maintenance, our technicians are highly skilled in properly preparing furnaces for the long New York winters. Weber & Grahn Heating, is also Long Island's preferred contractor for geothermal system repair and service. We offer installation of quality geothermal systems, including geothermal heat pumps. These systems are not only eco-friendly, but also they can save you money. The EPA estimates geothermal heating systems save homeowners 30 to 70% in heating costs annually. Whether you're thinking of installing a new geothermal system or you need maintenance or repair for the one you already have, be sure to consult with Weber & Grahn Heating, first. 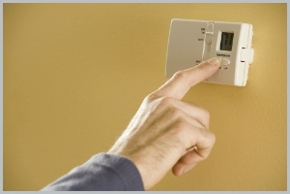 Give Weber & Grahn Heating a call today at (631) 594-8182 for your free estimate!